Last Min. 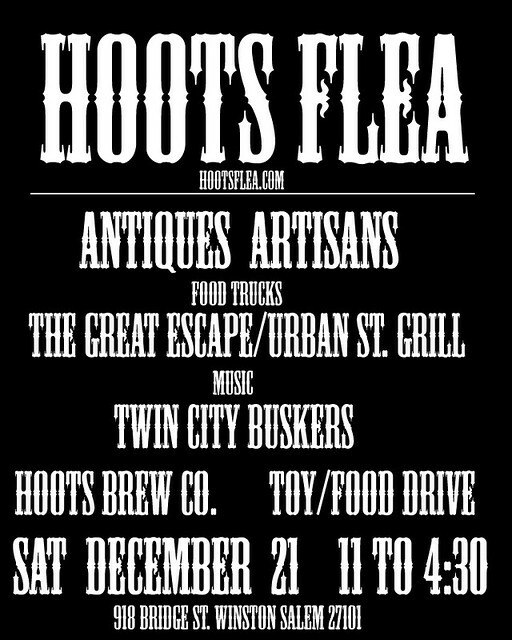 Shoppers Never Fear: Hoots Flea Market is here! 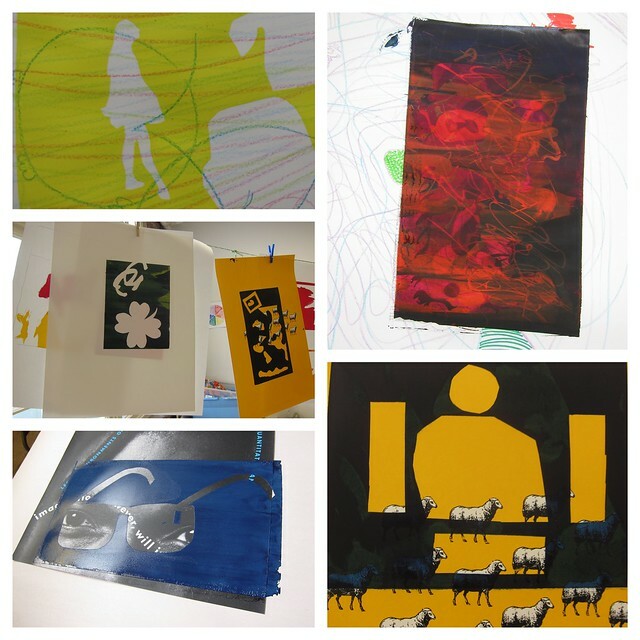 Pick up local-made gifts for your loved ones and have a great time while you shop! Food trucks, live music, lots of great vendors and you can even grab a brew, too. The weather is going to be perfect, so come on down. 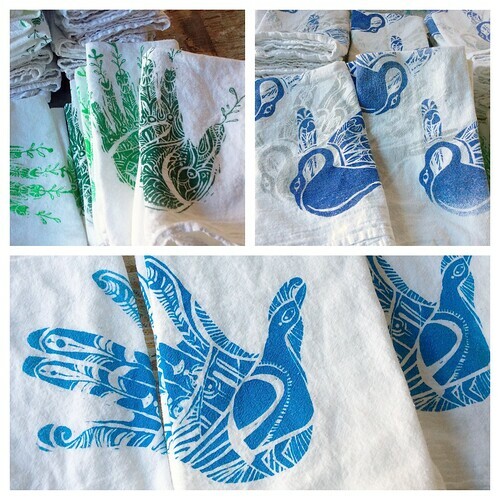 I’ll have a table with handprinted stuffs, including these handprint hand cloths, hot off the press–get 5 for just $20 bucks! Plus, I’ll have onesies, kitchen towels, paper goods and more. So stop by and say hi! 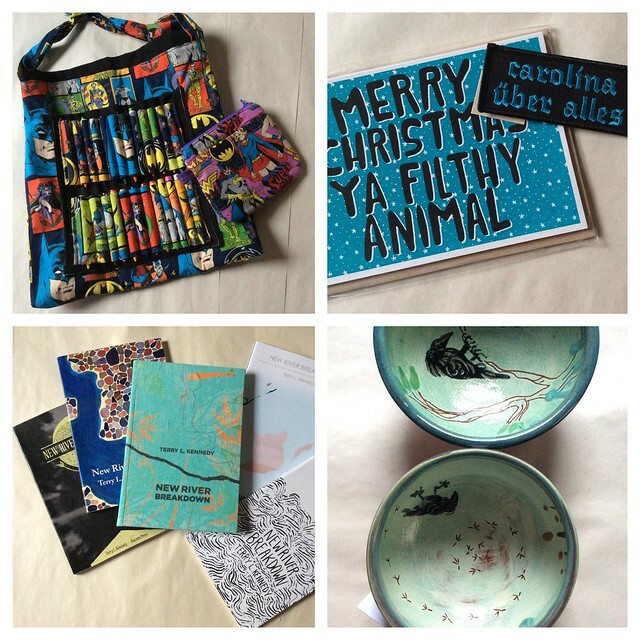 Handmade Gifts – Friday and Saturday at Krankies! 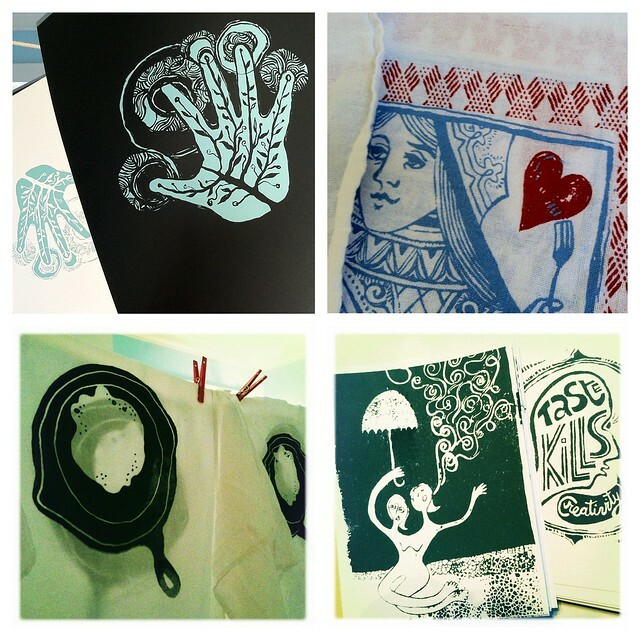 Sneak peek of what I’ll have available at Krankies Craft Fair: Handmade goods including – Hand cloths, printed cards (3 new designs! 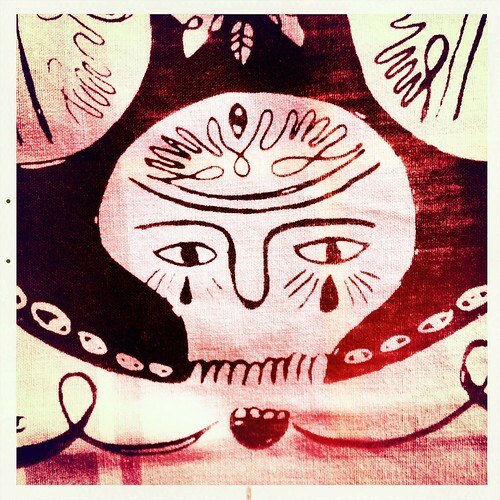 ), kitchen towels, prints on paper, onesies, and patches! FRIDAY from 5pm-10pm and SATURDAY, December 14th from 9am-2pm at Krankies Coffee. This is my favorite fair of the holiday season, always so many great gifts to choose from (and I always find some things I, ahem, need for myself, too). Stop by, grab a beer or some coffee and say HI! Thank you, Hand2Hand shoppers. Still looking? 2 more markets to go! 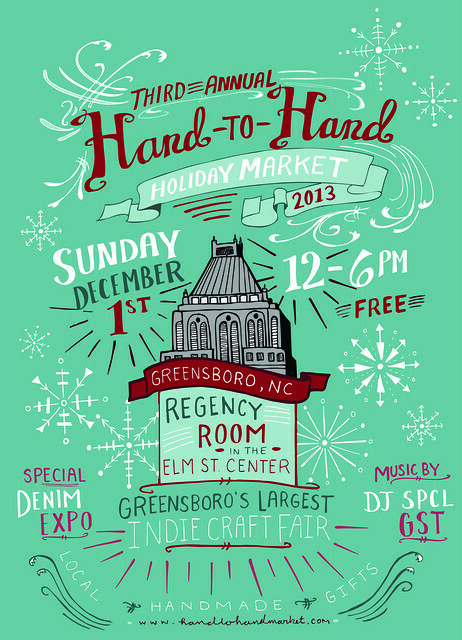 My first holiday market of 2013 was this past Sunday. Whew! It’s always a hectic time. Big, big love to all the wonderful people who stopped by my booth; supporting you local artists and makers makes a real difference. Thank you! I have two more markets this month: Winston’s Krankies Craft Fair (Fri., Dec. 13th, 5-10 pm & Sat., Dec. 14th, 9 am-3 pm) and Hoots Flea Market (Sat., Dec. 21; 11 am – 4:30 pm) and I’d love to see you there. 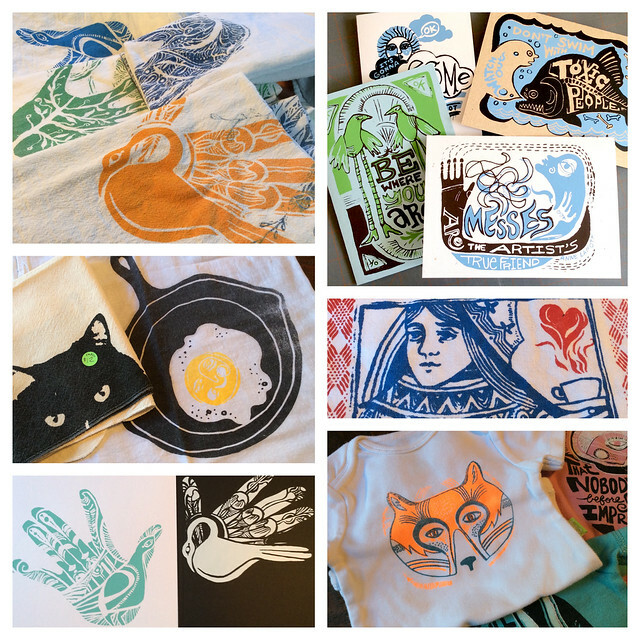 I’m working on some new card/patch designs and at least one more hand print design for hand cloths, which were a big hit at Hand to Hand. 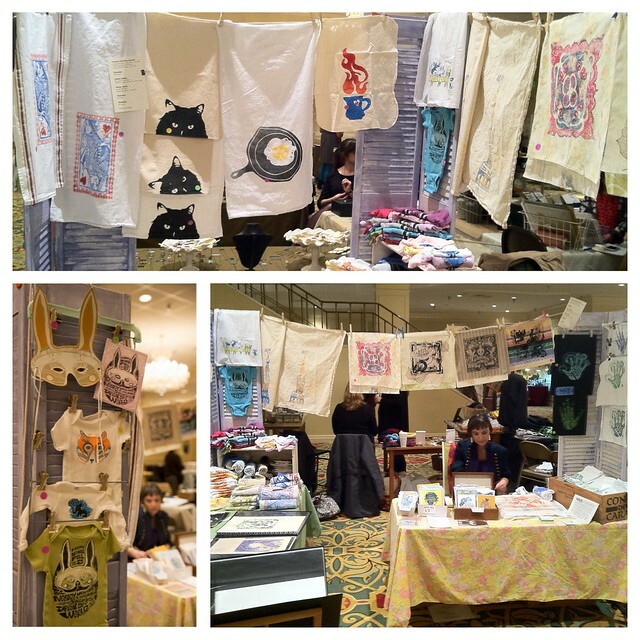 You can see some more photos of the market by Dana Dillehunt on her blog. 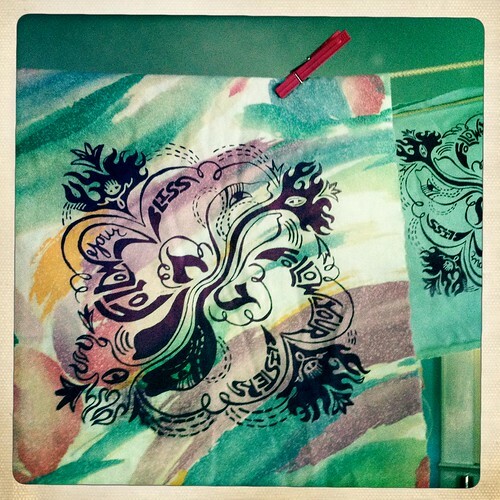 Now Printing: Kitchen Towels, Note Cards, Onesies, Oh My! 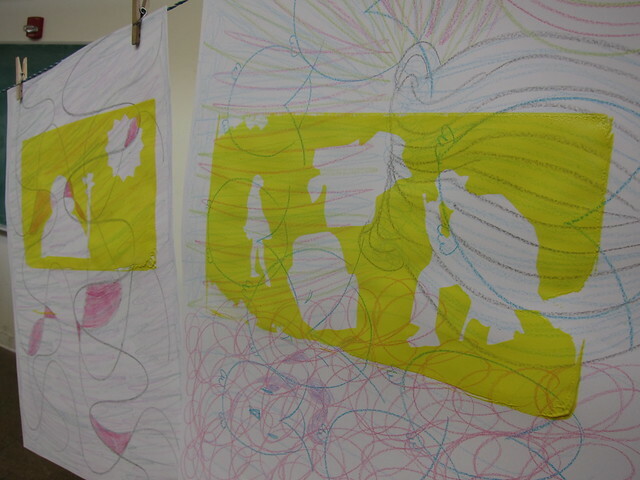 I’m teaching a silkscreen workshop at Sawtooth School for Visual Art this Saturday on using the screen filler negative method to print on fabric. 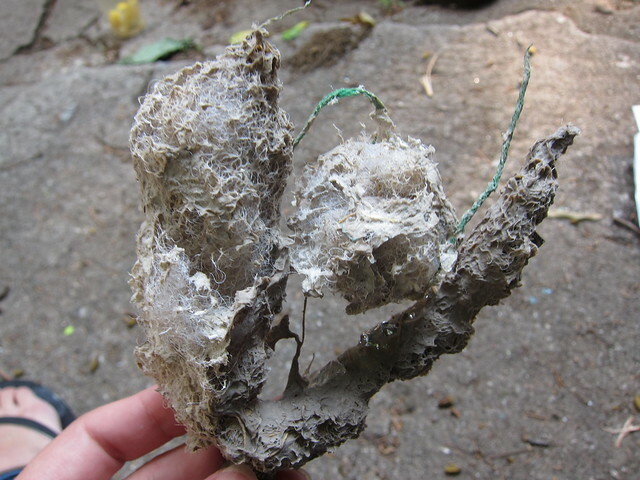 If you’re interested, here’s still time for YOU to sign up for a fun, informal day of making! 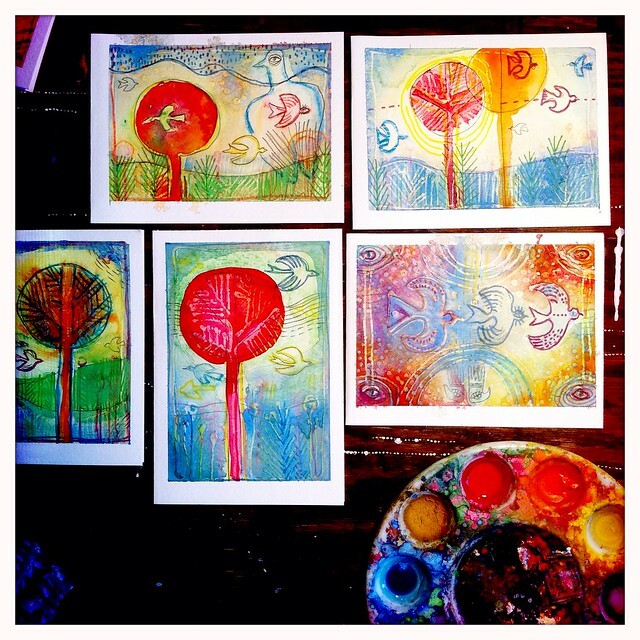 FInd out more info and sign up for this weekend’s class here. 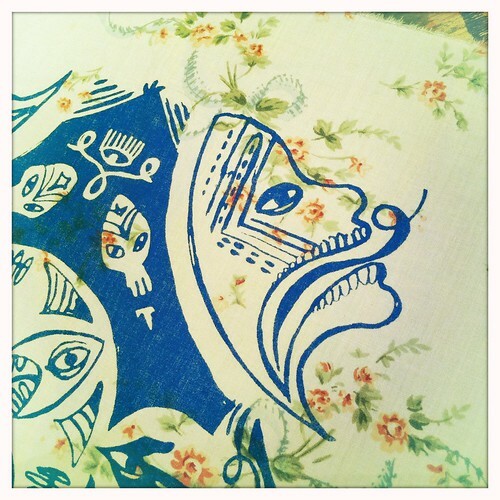 Everyone will go home with several handmade hankies printed with their own designs. All ages and skill levels welcome. 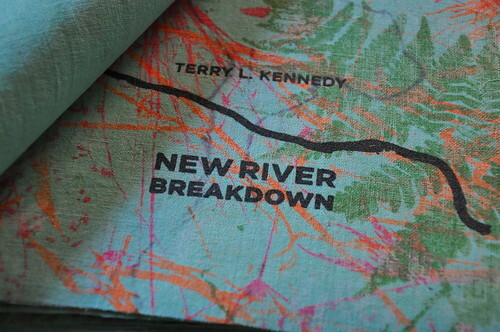 Tonight at the GreenBean, Terry Kennedy will be reading from his new poetry collection from Unicorn Press , New River Breakdown. 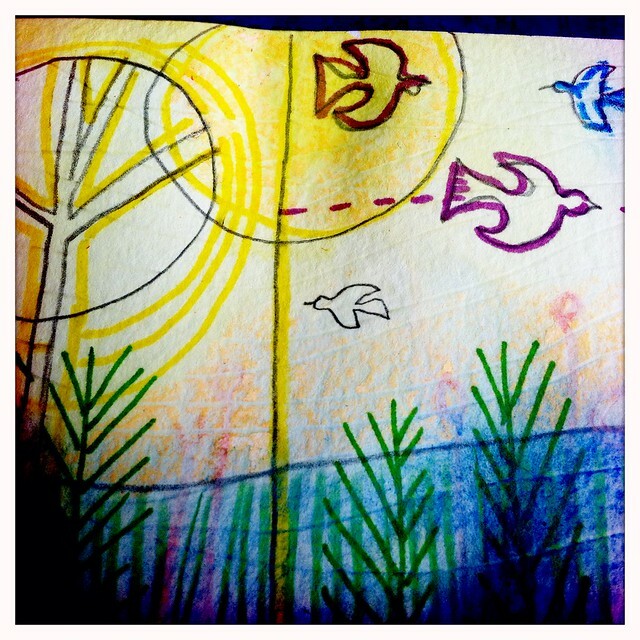 This is the book I created book cloth for this past month, and it has been interesting to see how each artist interpreted the spirit of Terry’s words. In all there are FIVE covers (show above) designed by local artists: Tristin Miller, Chuck Johnson, Matthew Brinkley and yours truly; published by Unicorn Press. 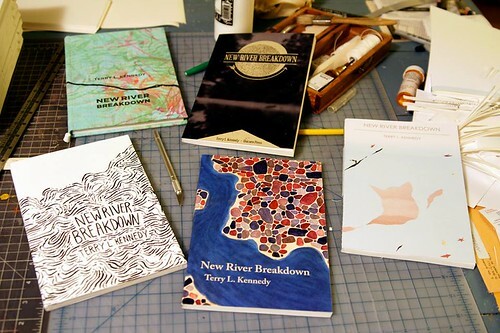 Come by to hear Terry speak and check out these books/art objects in person, I’d love to see you there! Here’s a closer shot of the book cloth I printed for this project, I’ll do a more in-depth post on the whole process of this project soon!